Jim, Christian and Andrew are joined this week by Chris Lux and John Zajdler for Show 79 of The Home Tech Podcast. This week, it’s a Windows show, with the guys starting off talking about the recent Microsoft announcement relating to the Windows Server 2012 lineup, which removes Windows Home Server and Windows Small Business Server as a dedicated product lines. The new Windows Server 2012 Essentials does carry a higher price tag than Windows Home Server, which may prove interesting for the future of the product in the home. 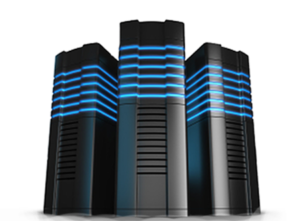 The guys discuss the future of the home server, and if a combination of Windows 8, Storage Spaces and various Cloud Services such as Sky Drive will provide an adequate replacement Windows Home Server for The Average Guy. Jim and Chris talk about photo management, for those who use the camera phone as their main camera. Jim uses a syncing service such as Dropbox, which automatically sync your photos to the cloud, and then edits the photos that he wants to edit. Chris talks about taking photos when on a family vacation, downloading to the PC, and burning copies of all of the images so that everyone in the family has a copy of the same photos. Google has a new feature in the Events for Google Plus, which lets you tag photos and upload to the Event. Christian talks about Classic Shell, a “Classic Start Menu” replacement for the Windows Start Menu, including recent updates which enable the Windows 8 Metro interface to be disabled. The guys close out with some more talk about the Windows 8 interface, and the path they think Microsoft may take once the product reaches the market, and large scale deployment.